About the author: Gregorio Hilario del Pilar y Sempio (November 14, 1875 — December 2, 1899). 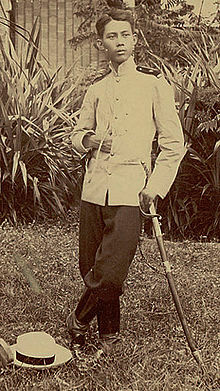 Brigadier General, Philippine Army. He was a nephew of the Propagandist, Marcelo H. del Pilar. About the diary: The entries come from An Acceptable Holocaust: Life and Death of a Boy-General by Teodoro M. Kalaw (National Historical Institute, Manila, 1974: English translation by “MAF”). The entries appeared in two forms in that book: outright quotations, and paraphrased digests. According to Kalaw, they were sourced from Buhay na pinagdaanan namin sa ikalawang paglakad, buhat ñg 24 ñg buang Diciembre ñg taoing 1896. –Sa pinakamamahal na Katipunan. –LIWANAG. 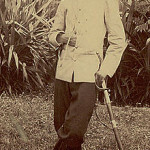 Palma says this diary began on December 24, 1896, in Kakaron de Sili. The only extant source for this document seems to be this biography, although the volume was listed in the catalog of the library of Kalaw prepared by E. Arsenio Manuel: see Teodoro M. Kalaw’s collection of revolutionary notes. There are also some entries quoted by Nick Joaquin in his essay, “Was the hero of Tirad Pass a hatchetman?” originally published in The Philippines Free Press and then in the anthology, A Question of Heroes (Filipinas Foundation, Makati, Rizal, 1977): December 25, 1896; January 1, 1897; and February 16, 1897. Joaquin did not cite where he got the quotations from. Kalaw also quotes an account by an American war correspondent, Richard Henry Little, who stated that American officers and men took General del Pilar’s papers and other personal effects after he was killed: in particular, Major P.C. March, who had commanded a squadron of the 33rd Infantry, U.S. Army, in pursuing General del Pilar, took the General’s Memoirs, or diary. The last quoted entry, December 2, comes from the article by Little.